"How do you care for sewn in hair extensions (not glue in extensions)?" Looking after your sewn in hair extensions is more straight forward than caring for glue in hair extensions as the tracks aren't affected by the products you use. It might be easier to think about maintaining human hair weaves (and all human hair extensions and wigs for that matter) as three different areas; daily styling; nourishing (which includes conditioning sew in hair weave) and washing; so let's get down to business. You can pretty much use whatever styling products you fancy - mousse, sprays, oils, serums, waxes or gels as the hair weave is sewn into your growth hair (cornrows) or sewn onto a net. If the hair weave is synthetic then skip ahead as this doesn't apply to synthetic hair weave. If the hair weave is made from human hair then much like growth hair, it will require moisture. This is essential for maintaining elasticity in hair which prevents the hair from becoming dry, brittle and eventually forming split ends or breaking. Sew in hair extensions (and your own growth hair) should be moisturized on a daily basis; a light misting with a light moisturizer should be sufficient. Ideally the moisturizer should be water-based so that the hair receives the moisture it needs. Any brand of moisturizer is fine but preferably one that is water-based (water is the first ingredient), contains plant derived oils or butters and is free from mineral oil (as these just sit on the surface of the hair and trap dirt, dust and odours...eew!). Hmm... Need a quick burst of moisture your sew-in hair weave? As human hair extensions have typically been chemically processed to produce the hair weave texture or colour, they have a tendency to dry out quite quickly. If you don't have a light moisturizer to hand you can always make one that you can carry around in your bag. All that's needed is a pump spray bottle, water and glycerine; fill the spray pump bottle with 90% water and 10% glycerine and voila, whenever you need to tame frizz, fly-away strands or dried out ends, you can just lightly mist and you're done. What's more because it's such a clean, non-greasy and quick solution, it can also be used on your growth hair - yay! When it comes to heat styling tools, folks seem to know that frequent use over a long period of time will ultimately damage the hair and sew in hair weave is no different (even if it's synthetic hair and heat resistant, over use of heat can still damage the fibres). Lighter coloured sew in hair weaves can also be affected by the use of heat so if you do use them try lower settings and thermal protectants and try not to use them more than once a week if you plan to have your sew in hair extensions for more than two months. In plain English the above simply means that straight and soft wavy sew in hair weave can be combed with large tooth combs (not super narrow) and that deeply wavy and curly sew in hair weave should be combed with wide tooth combs. Brushes can be used on straight and soft wavy hair weave but ideally not on deeply wavy or curly hair weave. This isn't to say that you can't only that if you do, the deep wave and curls become less defined and the hair will look more voluminous. The best brushes to use are soft bristle bushes. Steer clear of brushes with little balls at the ends of the bristles as the balls can catch on the tracks and tug at the hair weave. Any combing or brushing should always start at the ends of the hair first and then move upwards and if your sewn in hair extensions are curly then try to limit combing to when you style your hair for the day to prevent the hair becoming frizzy. Ta-dah! Daily styling products and tools for sewn in hair extensions, Fin! The care doesn't stop there however your guide to washing, conditioning and using hair oils on your sew in hair weave are on their way... 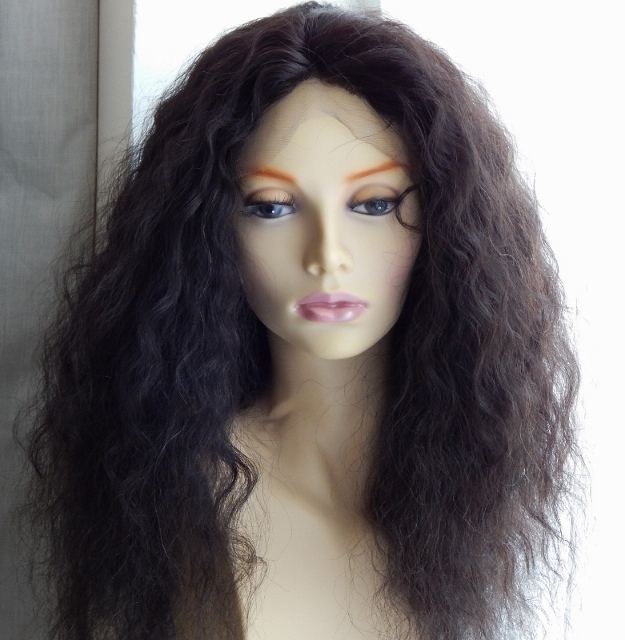 So stay tuned and if you want to keep up to date with the next guide about hair weave, hair extensions, wigs and hair pieces then join our blog, or check the Hair Extensions Q&A section for answers to other questions.